If you were to think of what Epilepsy is, and the symptoms surrounding it, what would you be able to come up with? What about Croup? Chickenpox? What if you were asked what Infantile Spasms is? What would you think first? ​If you had no answer for Infantile Spasms, you are not alone. This is where we found ourselves in the fall of 2014. Our 7 month old daughter Emma was diagnosed with this rare form of Epilepsy. We turned to the internet, as most parents tend to do, for some more additional resources, and to be honest, there wasn't a lot of information there. And, the information that was available did not pertain to Emma's situation. To this day, the research and resources available are fairly limited. Why? Because Infantile Spasms affect about 1 in 2000 births. The Hospital for Sick Children see about 30-35 cases of IS yearly. It's not very common. And, yet, the consequences could be devastating. As most parents who receive a troubling diagnosis regarding their child, we were lost. Shortly after we embarked on this journey with Emma, we decided that we wanted to give something back; help others who are about to embark on the same journey that we went on. While Infantile Spasms do not appear as fearful or severe as a generalized convulsion, the neurological effects are detrimental to a child's developmental progression. Early detection and treatment are paramount in order to help your child achieve the greatest success rate for a "normal" future. Emma was one of the fortunate few to have this disorder diagnosed in the early stages, before any signs of regression or developmental delay began to present themselves. As every parent will attest to, you never know what lies in the road ahead for your child, and the same can be said for Emma. What we do know is that Emma will not back down, and we will be there to support her every step of the way. 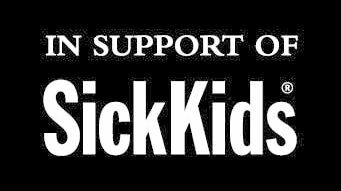 We don't know where we would be without the knowledge, guidance, and unremarkable passion and commitment of the team at SickKids. Since our first visit with the Neurology department, they have treated us like an extended family. They know Emma - and not because they see her paperwork. They made a connection with her since her initial diagnosis and have been standing beside us every step of the way. ​One of the biggest gaps with the research for Infantile Spasms is the lack of funding. Due to the rarity of the disease, funds are directed to more "known" areas of research. Our commitment to Emma, and any future children and parents that have to share this journey with us, is do help create awareness for Infantile Spasms and drive research with fundraising initiatives. Dr. Christina Go, the lead doctor for Emma, has been instrumental in helping us along this journey. She has helped advocate for Emma's case when the red tape got in the way, and she has been there to listen when we confronted her with a barrage of questions. Yet, for Dr. Go, her passion touches far beyond the walls of SickKids. Infantile Spasms are a form of epilepsy that occurs in 1 in 2,000 children. It typically begins between 2 and 12 months of age. Even though the seizures are brief and may not look very dramatic, we know that Infantile Spasms are most often associated with a significant development regression. Treatment is critical to both stop the seizures and arrest the adverse developmental consequences. Questions remain about the optimal treatment of Infantile Spasms, including the best approach to balance the efficacy of the medications with the side effects they cause. To this end, this study will enroll children with Infantile Spasms to assess the benefits of Prednisolone, a steroid medicine with a more favourable side effect profile, to children previously treated with Vigabatrin, known to have significant risk of adverse effects. This study has been partially funded by the Ontario Brain Institute, and is seeking further funding to allow for full recruitment of subjects.